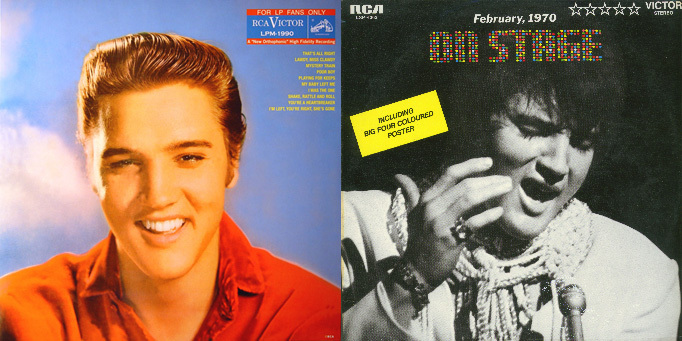 To the best of my knowledge, only two albums released during Elvis' lifetime lacked his name on the cover, and those were For LP Fans Only and On Stage. Actually, the latter earned Colonel Tom Parker a Grammy nomination for best album cover back in 1959. But why he left Elvis name out of it is anybodies guess. Maybe it was because the cover showed the smiling face of Elvis, a face that at the time was one of the most recognized in the world. And speaking of the FTD version of On Stage, in the accompanying booklet, two pages display documents such as memos, letters and notes dealing with the layout and production of the cover. There's a lot of instructions about the position of the picture and what colors to use, but unfortunately, nowhere is there a clue to as why Elvis name was left out. The first two titles, Reconsider Baby and The Alternate Aloha, didn't even include the title on the cover. As both album covers have artistical ambitions, maybe the words were left out as to not spoil the visual experience. As for the rest of the list, it's a bit funny that three out of four include performances from the '68 Comeback Special. A coincidence? Only Ernst Jorgensen or Roger Semon can tell. Maybe they were aiming for a Grammy?! Interesting! I believe the CD version of Reconsider Baby had the title (and Elvis's namne) on the cover. The Alternate Aloha LP featured a sticker with the name and title. I think some CD versions had the title on the cover as well. Have you heard that new band, On Stage? You know, the lead singer sounds a little like an updated version of that Elvis Presley guy from the 1950s. I always figured they left his name off On Stage to show that he was so famous, his name did not even have to appear on his album covers. Interesting that an explanation does not show up in the accompanying paperwork, though. Maybe some mysteries are just meant to remain unsolved. Did For LP Fans Only reference Elvis on the back cover? 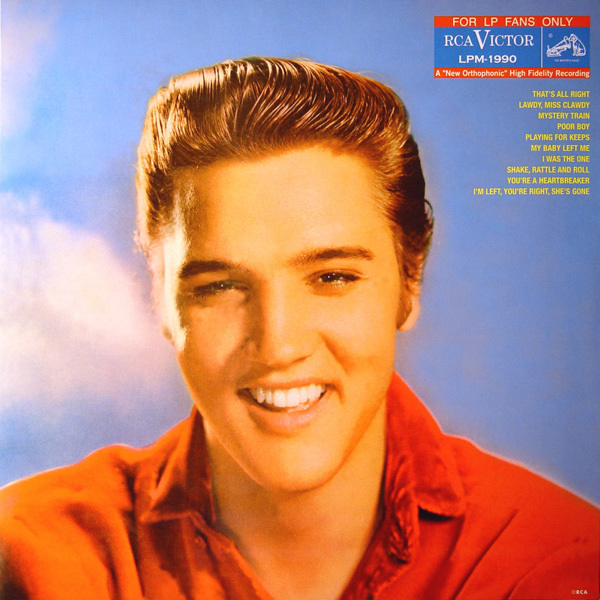 I've always heard On Stage as the answer to the trivia question "What was the only album released during Elvis' lifetime that did not include his name on the front or back covers?" Has the question been wrong all these years? Yes Mårtenbrother, the CD version of Reconsider Baby does have both title and Elvis' name on the front of the cover. My CD version of The Alternate Aloha features the title and Elvis' name on the backside only. No reference of Elvis just a picture of him in uniform.